Logan joined Hurricane Junior Golf Tour in the Summer of 2017 as an operations intern and then full time in November of 2018. He was born and raised in Reading, Pennsylvania. He graduated in August of 2018 from the University of Florida with a B.S. in Sport Management and Minor in Sustainability Studies. 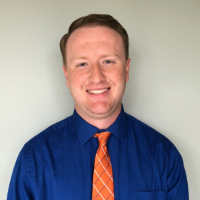 After being an operations intern with Hurricane in 2017, Logan was a Marketing and Promotions Volunteer with the University of Florida Athletic Association. Subsequently becoming a P. J. Boatwright Intern with the Texas Golf Association. His goal is to foster a fun and competitive environment for junior golfers to help them succeed in the future. In his free time, you can find him attending sporting events, playing golf, tennis or soccer, and cheering on his Florida Gators.